Why are Major Consumer Brands Abandoning Facebook? Social media has been instrumental in changing and reshaping the way business leaders interact with their customer base. There’s no doubt about it. And one of the biggest players has to be Facebook. Since it was first launched publicly in 2004, it’s become a household name, slowly educating generation after generation about free earned media, and addicting them to it. 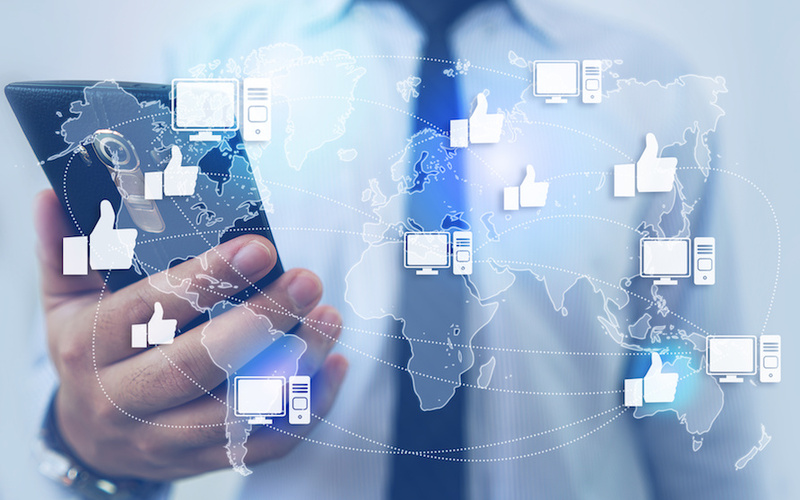 It also served as the catalyst that showed businesses how powerful social media advertising could be and has helped companies reach out and connect with customers and prospects. Ultimately this had led to an increase in sales for millions of businesses. In fact, those businesses that do adopt social strategies like Facebook advertising see a 50% increase in customer satisfaction, 48% increase in leads and 24% increase in revenue generated. It’s certainly nothing to sniff at! But recently, there’s been a shift. It started slowly, but now we see a spate of brands both large and small simply abandon their business Facebook pages, seemingly for good. From small businesses up to large corporates like Haribo, established pages are being left to gather dust. But why? One of the biggest attractions of Facebook was that it gave businesses the ability to reach a huge audience for a relatively small monetary investment. You could invest a small amount to promote your page to a wide variety of people, and the analytics tools gave you the ability to target your adverts heavily. People who ‘liked’ your page then saw your posts appear in their newsfeed heavily contributed to those 7 crucial touchpoints to help secure more sales. It also provided brands with an organic and natural way to communicate with their audience in a friendly and interactive setting. But earlier this year, Facebook announced a change in its algorithm, essentially turning the platform into a ‘pay to play’ arena for businesses. Many businesses have found the access to the audience they have worked so hard to cultivate has been tightly restricted, making it more challenging to work with. In fact, recent studies show that as little as 2% of a brand’s fans can actually see the posts a brand puts out, and many marketing experts think this will soon drop to 0. With their viewership suddenly throttled, the fake news epidemic spreading and the rules always changing, brands who are seeing a significant drop in interaction may not consider it a worthwhile investment of time, money and energy anymore. All social networks change over time. They evolve to meet the needs of their users, and the new users who are joining. The same is true with Facebook – it’s a far cry from the humble network it started out as. One of the main differences we can see is in the demographics of people who use Facebook. Where it used to be a hub for young people, the average age of a Facebook user is now 25-30 (the age those young users would be now). Their core user base has aged with Facebook, and meanwhile, teens are leaving the platform, with only 17% using Facebook regularly. A significant drop from 71% in 2015. Instead, younger demographics are choosing to move to platforms like YouTube, Snapchat and Instagram. This is bad news for businesses looking to target this demographic. With their audiences jumping ship, Facebook might not be a profitable place to be, and they have no choice but to jump with them. But while the younger generations may be going elsewhere, Facebook is still a buoyant platform for older (well, older than Generation Z) demographics, generally between the ages of 25 and 75. Moving away from the detail for a second, we have the idea that other platforms will automatically provide better results for businesses. The smart companies who are keeping a close eye on their metrics and ROI are struggling to justify the use of Facebook as an advertising platform, mainly because they now have to pay for what they used to get free. Overall, this makes it a little hard to value in the same way. Until recently, ‘engagement’ has been used as an ill-defined but widely accepted payoff, but with the cost of reaching that audience increasing, businesses are looking at the numbers and finding it unsustainable. Businesses are quickly finding that they need bigger budgets to make Facebook work, and this may be what’s driving them to explore other platforms, where they can find the kind of engagement and return that they used to get with Facebook, for a lower price. It’s a classic case of ‘the grass is greener on the other side’, with some businesses simply abandoning Facebook for other networks, while others are investing in increased sales efforts, new packages and collaborations, elsewhere. At Orbital Media, we think these ‘abandon ship’ brands do have some valid points. But they are missing something from the bigger picture that could bring everything into focus. Yes, the new algorithm is a challenge, but the businesses who are willing to experiment to understand what works and what doesn’t will overcome it, and they’ll be the ones taking home the spoils. The key to making that leap lies in creating a succinct and targeted strategy for content, brand awareness and regular campaigns, instead of just ‘winging it’. Our clients are still dominating the social chatter on Facebook thanks to this, and it’s showing in their sales. If you don’t have the skill or time in-house to dedicate to making Facebook a success, you should consider outsourcing it instead. Hire yourself a creative writer to define a content strategy, and a creative designer to define the ways this content can ‘pop’. Don’t be afraid to experiment — watch what the competitors do and what they get the most engagement and reach from, and use that as inspiration. If it’s not working for, then find another partner with a proven track record and some huge ideas. Facebook is far from being a dead platform for business — it just requires a new, more strategic approach. And if you’re considering abandoning your Facebook page for any of the reasons above – don’t! There is still high value and opportunity in the channel. You just need to have a focus and be ready to change it up every now and then. This needs a level of commitment and creativity you may need to outsource to find. Consumers have no issue purchasing from on-channel these days, so you could be missing out on easy sales. At Orbital Media, we firmly believe that Facebook is still a worthwhile investment for any business. But instead of being the ‘easy win’ it used to be, it now requires a similar level of planning and strategy as other marketing tools to make it effective. Our experts are on hand to help you understand how Facebook could work for you, develop bespoke social media strategies for your brand and even implement them for you, so you can see the positive results without having to do any of the hard bits. If you’d like to find out more, just get in touch with us today. Can virtual reality really help manage pain?